Well, I did something I never really wanted to do. I turned 30 back in May. It wasn't that bad I suppose. But ideally, we'd all stay young forever. Making money from running a business is great, but it's renewable and replaceable. If something were to happen I could start over and build another source of income. I'm never going to be in my 20s again. As hard as I might try, that part of my life is over and it's not coming back. The greatest thing about running my own business is that I do get more control over my own time. My days aren't spent in a cubicle waiting until I'm over 55 for a chance to see the world. As always, I took a few pictures and I wanted to share my trip with all of you. 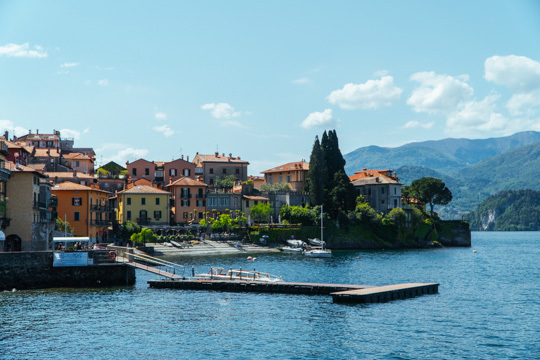 We flew into Milan to start the trip and we were able to get up to Lake Como to spend some time there. It was one of the most picturesque areas I've ever seen. You can't take a bad picture here as every where you look is stunningly beautiful. From there, we headed out to the coast to check out the five fishing villages along the water. Again, stunningly beautiful and almost hard to believe that these houses were ever constructed. Florence was our first major city in Italy. 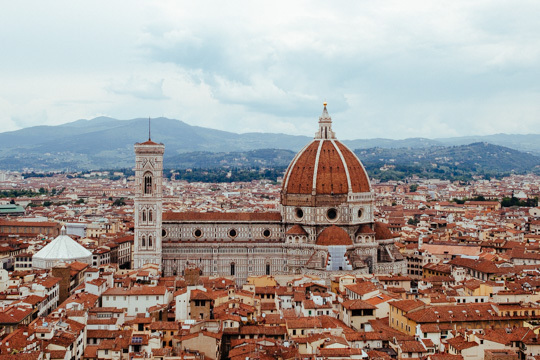 The art, architecture, and surrounding Tuscan hills are a sight to see. Florence was also home to best cannoli I've ever tasted. I'd travel back just for dessert alone. 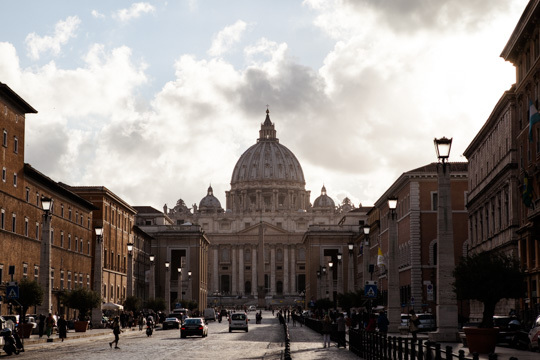 While we didn't get to see the Pope, we did tour St. Peter's Basilica, the Sistine Chapel and the Vatican Museums. I have about a million pictures of Rome. Every where you turn is another historical and significant landmark. I settled on sharing one of the Colosseum. 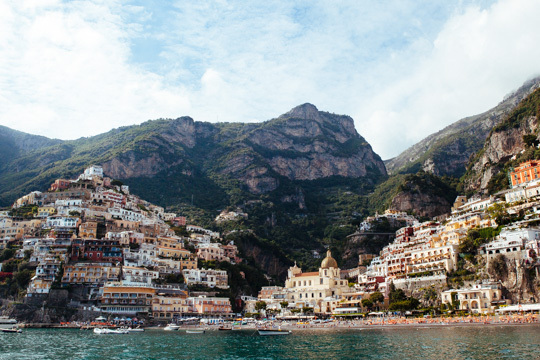 From Rome, we went down to the Amalfi Coast to spend some time unwinding and relaxing. Like Cinque Terre, the towns here are all stacked on cliffs down to the water. I could easily see myself spending months on the coast. Finally, we made it to Venice and it lived up to every one of my expectations. I am aware at how lucky both Amanda and I are. We do get to live the life a lot of people dream about, but at the same time, work is always a top priority. Our businesses allow us to spend our time as WE PLEASE. We get to dictate how our most valuable resource is spent. Thank you. 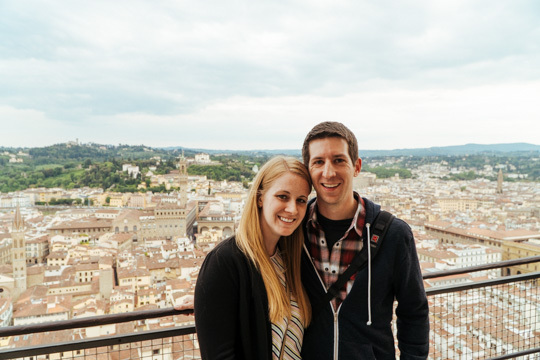 I'm glad that you and your wife had such a great time in the beautiful country of Italy. At the same time, your post (with pictures) act as a great motivator for me. Thanks, again. Nice...It's a beautiful country. I'm flying to Italy next Friday for a visit and work. It's my 4th time. I never get bored with Italy. You visited my city Venice! If only I knew you before man! Although it is interesting to see you in Italy, I've never wanted to go there....but I do want to be able to travel. I'm interested in traveling around the United States with my grandchildren and children. When I get to do that I'll invite you and Amanda out to dinner, in the city or town that we are in watching a baseball game or football game. Hey lake Como is my hometown , i'm looking at it right now while working at my site. I'm glad you enjoyed your trip!! I would love seeing Italy .My grandfather was from Sicily so I would like to see that as well. well I have never been there ,best I have ever traveled was to Toronto and St Louis. Really want to go to England , and Ireland. Something I want to do some day! Travel to Europe! Thanks for the inspiration! Happy birthday to both of you. Happy late birthday. Best wishes to you both. Beautiful! Thanks for sharing, what an awesome trip that had to be. Happy Birthday!! My birthday was May 7, I turned 56, so 30 is nothing. It's a milestone for us all. I'm so happy for you both, that you get to travel to such beautiful places while you're young. Enjoy life to the fullest. Thanks for sharing those beautiful pictures. Have a great weekend. I turned 55 on May 7. I have long believed that 50 is the new 30. Love the life experience that 50+ brings. It's nice to meet someone else who has the same B-day as myself. I think being 50+ is great!! I can remember when I turned 30, I spent so much of 29 worrying about it, by the time 30 actually came I'd already come to terms with it like it had already happened. What's scary is how time seems to speed up as you get older. Think back to how long your first 10 years felt, then the time between 10 and 20, and then how quickly 20 to 30 went. It's scary to think that 40 will approach more quickly than 30 did. But you are definitely making the most of your life, Steve, that's for sure. You guys are so cute and looks like a lot of fun. Happy birthday to you and Amanda too! My big 3-0 is fast approaching.. I think I've come to terms with it.. (mostly). Thank you for sharing your trip with us. Happy Birthday to you both. Yes, this business offers many freedoms. We are really blessed to be here. 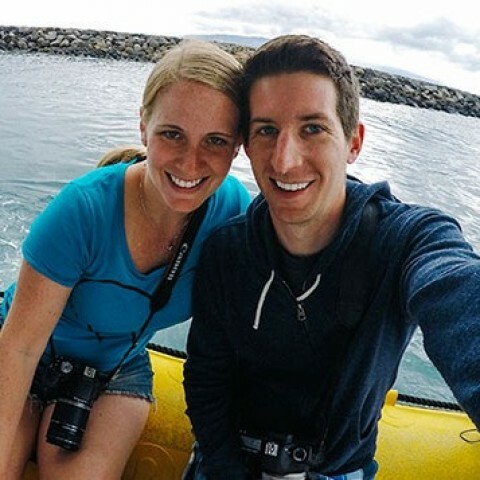 Happy Birthday Steve and Amanda! What a beautiful way to spend a milestone in your lives! Thanks for the birthday wishes Shannon! Hi Stevie, Happy belated birthday. Love the pics. Irv. Thanks for checking them out Irv! Florence was probably my favorite stop across all of Italy. The city itself was great, but then the backdrop of the Tuscan hills made it that much better. Your post is very inspirational. I enjoyed it. Happy belated birthday to both of you. Your photos are so beautiful, I nearly sobbed! I've made my peace with turning 30. I'm quite content at staying at this age! Nice pics. Looks like you had a great time. A belated Happy Birthday to you both! Beautiful pictures, Steve! It's inspiring to see, and I'm glad to hear you're enjoying your time there. It's so very true, time is the most valuable thing as it can never be replaced once it's gone. Thanks for sharing and have fun! Great photos, Steve. I have never been to Italy so maybe it has to go on the to-do list for the years ahead. 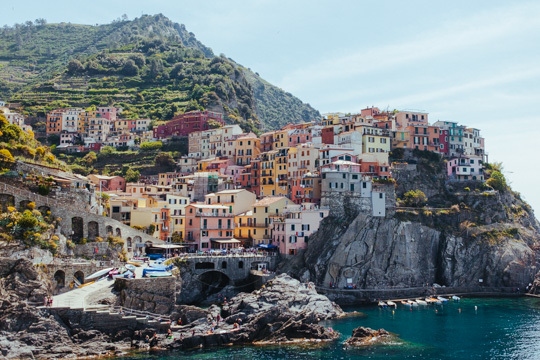 I have always wanted to see Cinque Terre and Lake Como! Very nice! They are absolutely beautiful. Cinque Terre was a bit crowded, as expected, but Lake Como was serene. Awesome post, Steve. Thanks for sharing. Wow, I never thought that Italy was so beautiful. I'm Italian myself but never been there. I'm glad you and your wife had a good time. That's awesome Steve! Inspirational. I hope to start traveling in the next couple years. I'm a bit older then you, but age doesn't matter much when you feel content. Cheers! To working on our dreams. Nice post and great pictures. Awesome Steve! Thanks for sharing!! Happy birthday Steve! You are still young! My baby just turned 30, her sister just turned 40, and I am turning 60. You still haven't experienced my favorite decade...I thought my 40s were the best! Hope you will enjoy the next several decades. ... ahh, such a "young one" still. I'm so happy for your success at this early stage of your life/career! Happy birthday to both of you! Beautiful and inspiring. . I miss Italy! I am very happy you 2 had the opportunity to visit such a beautiful place! Thank you Steve for being my mentor! It would have been better with whales. Take care and enjoy the moment! 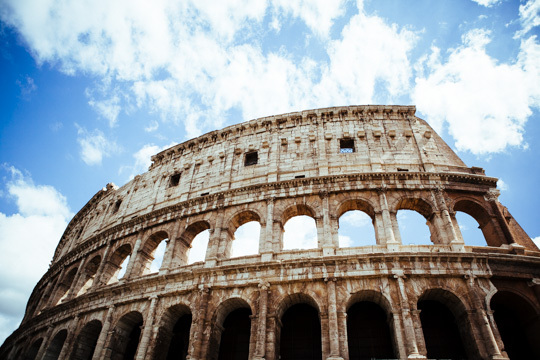 Italy is definitely one of the "musts" on anyone's travel list. The history, culture, and food can't be beat. Awesome Pics. Happy Birthday to you both. I love Italy. Have a blast and be safe. Pizza, pasta, gelato. That was about all we ate between shots of espresso. I regret nothing. Happy belated Birthday glad you guys have an awesome time. Beautiful pictures! Amazing trip Steve and congrats on turning 30! I have experienced both so far :)... From your places, I just didn't visit lake Como (I visited Garda instead) and Cinque Terre. The difference was that I didn't have an online business at that time and no job... LOL so, what happened? My account went back to zero after so many corpetos, pizzas, gelatos and boat trips... LOL Travelling is the best thing in life, in my opinion... and travelling with the one we love is even better! Yeeeeahhh my credit card bill isn't looking too pretty at the moment LOL but the experiences were well worth it. Hi Steve! Congrats on your turning 30. For me this happened years ago and I remember being overwhelmed both before my birthday and right afterwards that I had hit the milestone. That was not quite half-a lifetime ago and it is my wish that you have many, MANY more years on this Earth. You have been such a role model for people in the fact that with hard work and effort put in on their own that down the road they can achieve the type of success that you have earned in your online business ventures. I loved the pictures of Italy. On a bus tour back in the summer of 1994 that mostly included the countries of Germany, Switzerland, and Austria one day in going from one part of Switzerland to another we hit Italy and the town of Milan. I remember we had lunch there which for me, of course consisted of pasta! 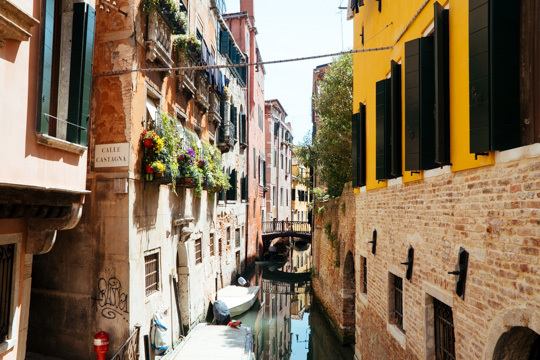 The other pictures that you included in this article to the community of some truly beautiful Italian cities are spectacular. Best wishes to both you and your lovely wife Amanda in the future, Steve! I definitely hit my quota on pasta for the year. We ate pizza, pasta, and gelato almost exclusively while over there. Don't get me wrong, I love Italian food, but man was I craving a good hamburger when we got home. Hi Steve - we (Laura and I and our boys) will be following you to Italy in late July this year. Never been - but it's one of those places to add to the bucket list - and all because we've worked hard on our online business, and really struggled through the hard times - but can reap what we sow now. You've been an (unsung/uncredited) mentor of mine for a while - I've followed your sites and posts for a few years - so I'm really pleased to see you posting about success and what it gives to you and Amanda. You make a lovely couple, and I wish you both all the best going forward. That's great to hear Mark! That's really what a lot of people miss when starting their business. You won't see instant success, but with the right amount of effort, focus, and drive, you can build something that will benefit you down the road far greater than you could ever imagine. I'm thrilled to hear you've reached that point. Enjoy Italy! Amazing trip, some excellent pictures and a timely reminder thank you. Nice photo, look like you guys are having a blast. Enjoy! Thanks Vince! Italy was a great time. It definitely surpassed my expectations. beautiful pictures! It's my birthday in May too -- I'm 34 and don't worry, (as many people told me and it is true) your 30's are much better than your 20's!! I'm definitely enjoying my 30's now. No doubt you will too! Steve, outstanding photos. May 20th, I turned 62 going to Italy to celebrate is something to be proud. Beautiful! Steve, mine wasn't quite so eventful, but it all worked out well. Thank you! Awesome, Thanks for sharing ..
Looks like you guys had an amazing trip. All of this pictures are bringing back lots of memories from our trip through Italy (we almost hit all the exact same spots). Beauty! I have no real desire to go to Italy, I thought it was amazing how they built the houses and buildings on the cliffs. Everything seem so compact. In other words to close I like the country. But, the picture make it seem so real. Hope you both had a nice birthday. That was a great gift.